Since this is a wear and tear product, we will not warranty any part of this winch in an event of a break. Each winch comes with an extra spare gearbox and motor. Each winch is tested in our factory and tested again in our distribution center before it gets shipped out. If you use this winch above its suggested pull rate, the internal micro gearbox will be the first to fail. The replacement gearbox part number is (Z-S0111). 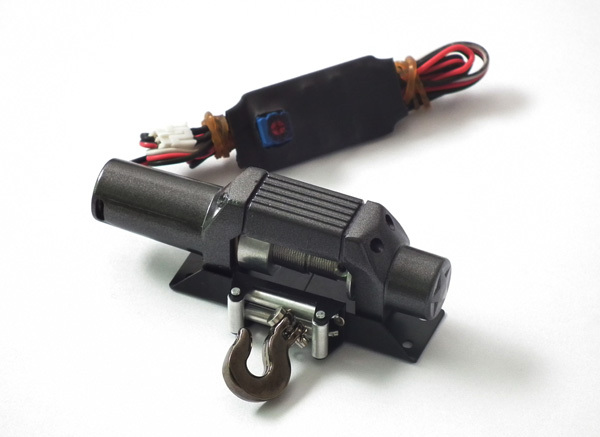 æThis is our new 9300 series of winch, all parts don't work with the original 9500 series brushless winch. æThis winch will require a radio with the 3 position third channel to operate. If you radio does not have a 3 position switch, then you will need to purchase the wireless winch unit.